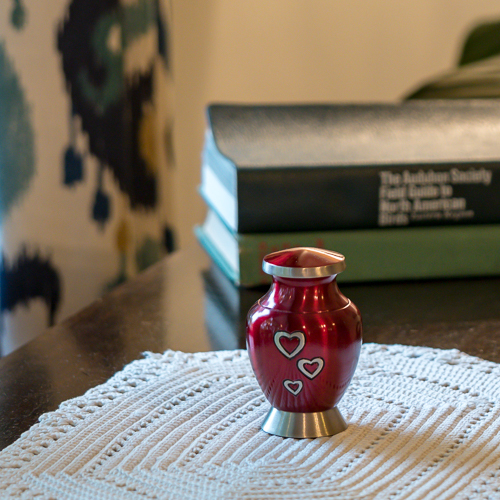 Small in size but large in love, the Loving Hearts Keepsake Urn has a bright red finish accented by a trio of hearts. 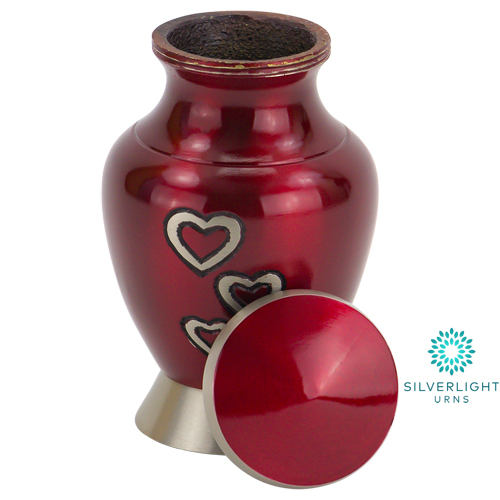 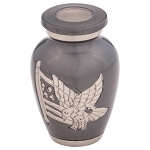 This mini urn can hold a small amount of cremated remains if families are looking for a token of remembrance. 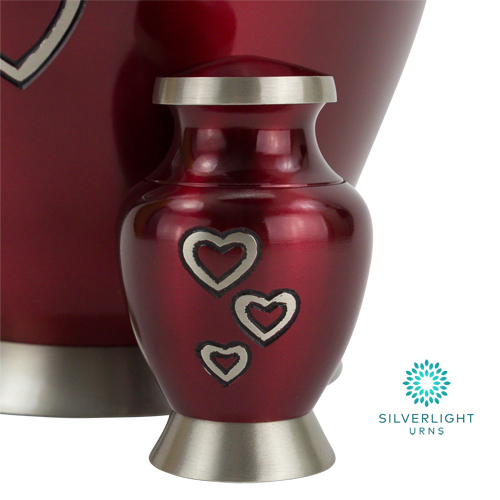 The hearts on the front are engraved and finished in pewter to match the footed base and other details. 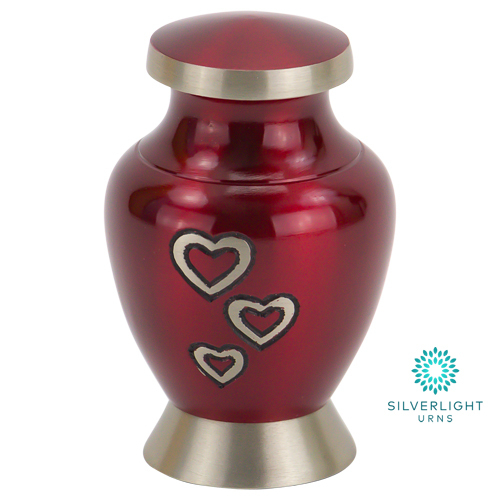 Made of brass, the Loving Hearts Keepsake Urn has a threaded lid to hold cremated remains securely and has a capacity of 3 cubic inches. 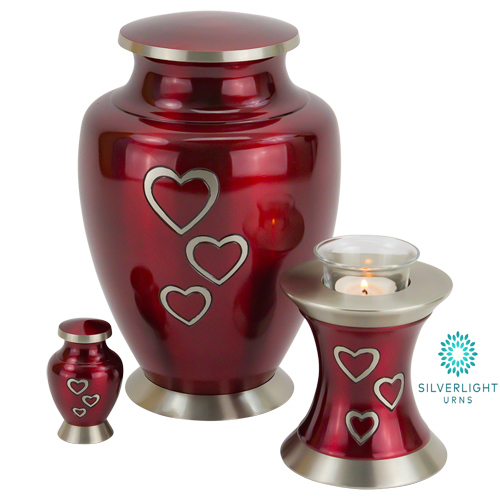 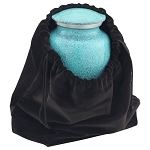 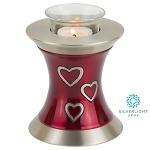 Also in the Loving Hearts collection is an adult size cremation urn as well as a candle holder keepsake urn. 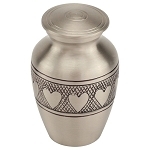 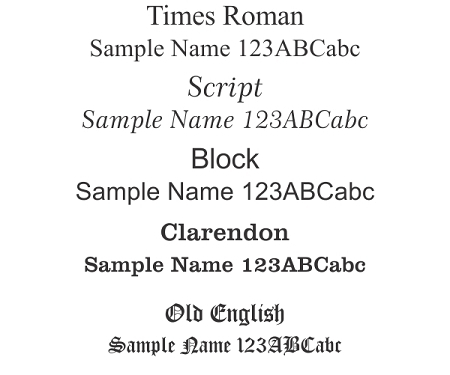 You may wish to add a personal touch to the Loving Hearts Keepsake Urn by choosing direct engraving of up to two lines of text (12 characters or less per line). 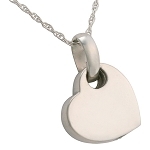 Engraving is performed on the back (opposite the hearts). 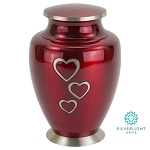 Small in size but large in love, the Loving Hearts Keepsake Urn has a bright red finish accented by a trio of hearts.